Ascott currently has more than 160 properties with about 30,000 units under development worldwide. About 35 of these properties with more than 6,500 units are scheduled to open this year, half of which are in China, and a quarter in Southeast Asia. 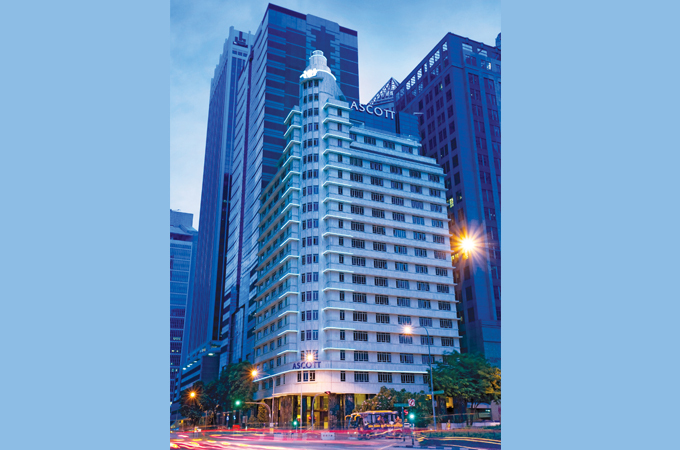 The rest are in Australia, France, India, Saudi Arabia, and the United Kingdom, including Ascott’s first property in Africa. THE iconic landmark of Madrid, Hotel Ritz will stay under wraps until renovation is completed in 2019. Since it first opened its doors in 1910, the establishment has hosted royalty, politicians, corporate leaders and celebrities and is an integral part of Spain’s capital. The extensive work will significantly upgrade the hotel’s facilities and services, while maintaining its unique character, encapsulated in the Belle Époque style of the original building. Mandarin Oriental Hotel Group acquired Hotel Ritz, Madrid in 2015 for $148 million in a joint venture with the Olayan Group, a premier international investment group with a long history of success in the Middle East, Europe and the United States. A BREATH of fresh air will be exactly what you get once you step into Millennium Plaza Dubai. The newly renovated lobby of the prominent hotel along Dubai’s Sheikh Zayed Road was opened with a photography exhibition by Lofti Hamrouni and an apparel and jewellery pop-up by Asya Krasnaya to celebrate the launch. The new lobby exudes a renewed sense of warmth, characterized by sleek couches and chairs in earthly brown and yellow hues with new light fixtures provide a welcoming ambience for guests along with perfectly arranged furniture creating a more open and comfortable feel. SU GOLOGONE, the hotel that embraces Sardinia’s most genuine traditions and culture, reopens on March 23 with the new Wild Suite – the latest creation of Giovanna Palimodde, artist and owner of the hotel. Inspired by the wild nature of Barbagia – mountain area of inner Sardinia where Su Gologone hotel is located. The new suite is built using locally sourced materials and aims to better engage guests with the wild identity of the Italian island. The Wild Suite features two big double bedrooms with two bathrooms and a private garden terrace that features a creative and savvy use of paired copper, iron and juniper trunks. Also both natural and artificial light blend, creating a calming and soft ambience. Junipers, prickly pears, mastic and cork trees decorate the outdoor area, which overlooks the stunning views of the Barbagia Mountains. This area also features a telescope for star gazing, an open-air bed warmed by a fire pit, and an open-air Jacuzzi.